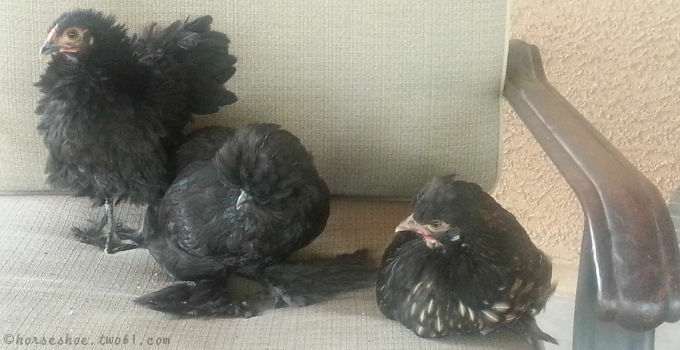 These three mixed breed chicks are from my most recent hatch. 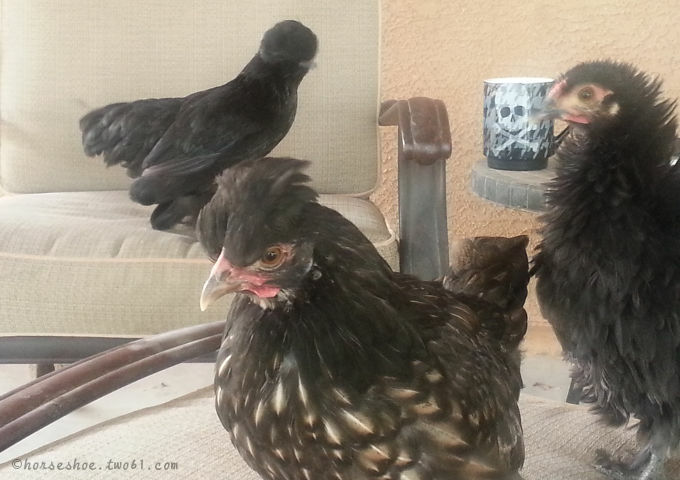 They’re about 3 months old now, still peeping, and enjoying their time free-ranging in the backyard. They decided to hide from this morning’s rain storm on the patio furniture and helped themselves to some of grandma’s homemade blueberry-lemon bars when I wasn’t looking. Spoiled much? My little mutts are turning out to be quite adorable, and they have great personalities, too. 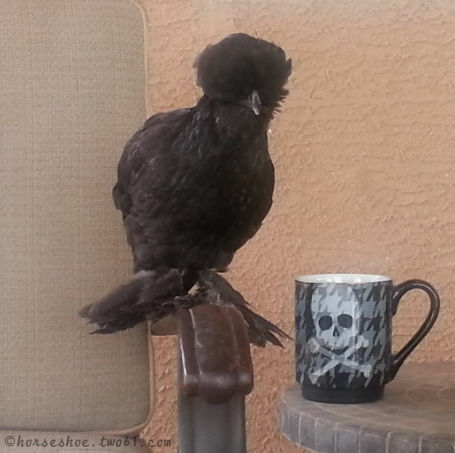 I’m really excited about the huge feathers on the feet of the little polish-silkie girl.